An amazing handcrafted bracelet made especially for the auction by Jaquelyn Ashbery who makes fabulous jewellery under the name Mother Moon. 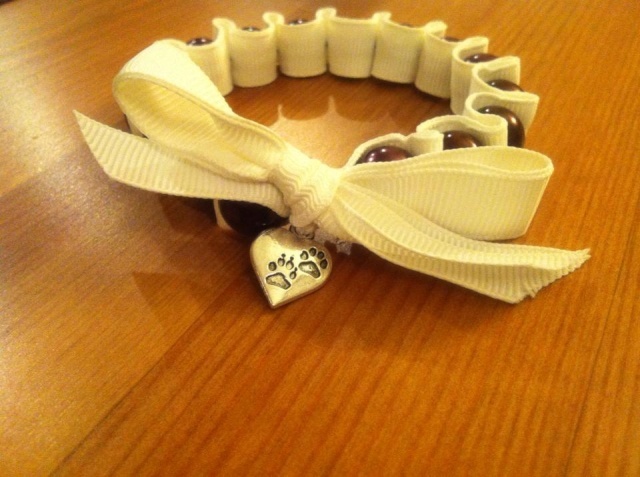 Beautiful ribbon with double elasticated cord to make it easy to put on and take off, glass pearls and a very sweet paw prints heart charm. Postage being paid by donor. 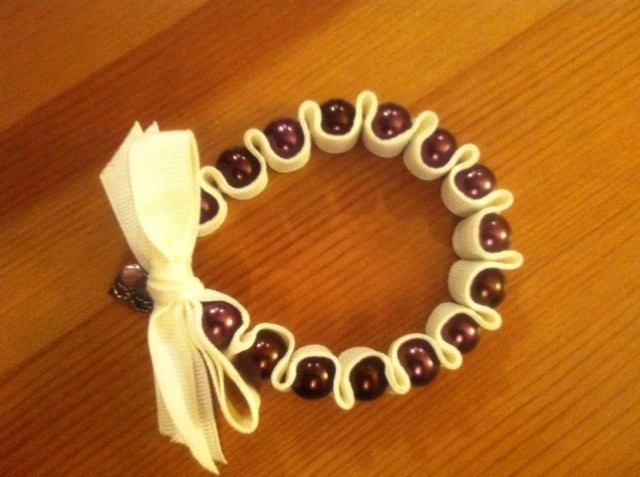 Starting bid of £3.00 please.